Stunning settings for your dazzling day. 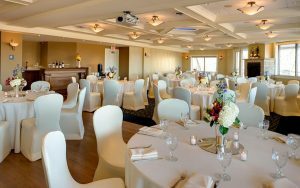 Our banquet and ballroom options range from intimate to expansive, all designed to make your wedding joyful and unforgettable. For small, romantic ceremonies, our Historic Lobby – with its classic pipe organ and intricate Grand Staircase – is a perfectly intimate setting. 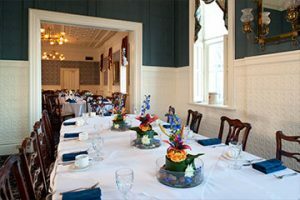 The Laurentine Room provides a beautiful river backdrop for smaller gatherings. 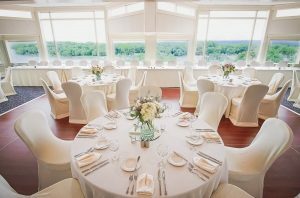 For larger affairs, the Summit Room features panoramic views of the stunning Mississippi River valley, and can accommodate up to 240 of your closest friends and loved ones. Designed to fit your dreams. 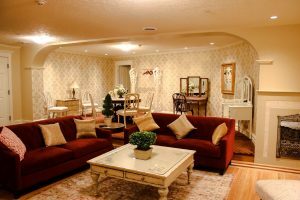 Every room has custom floorplans that can be configured to meet your unique wedding and reception needs. 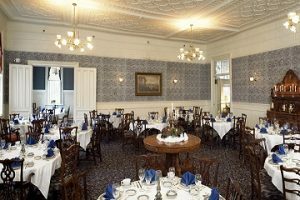 In keeping with our full-service commitment, we also have ideal spaces for engagement parties, rehearsal dinners, bridal showers, and photo shoots. 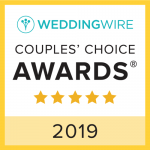 Our newest wedding venue, the Portside room is schedule to re-open after an extensive renovation in December 2019. A vintage design space bringing accents of the building history into the room such as stone walls, and a mix of wood and concrete floor. 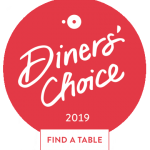 A charming old-world venue with a rustic organic feel. 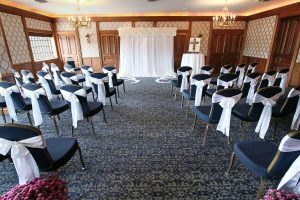 "The wedding was held in the beautiful historic lobby followed by a cocktail reception in the Victorian dining room and library." "An absolutely beautiful setting for a wedding."